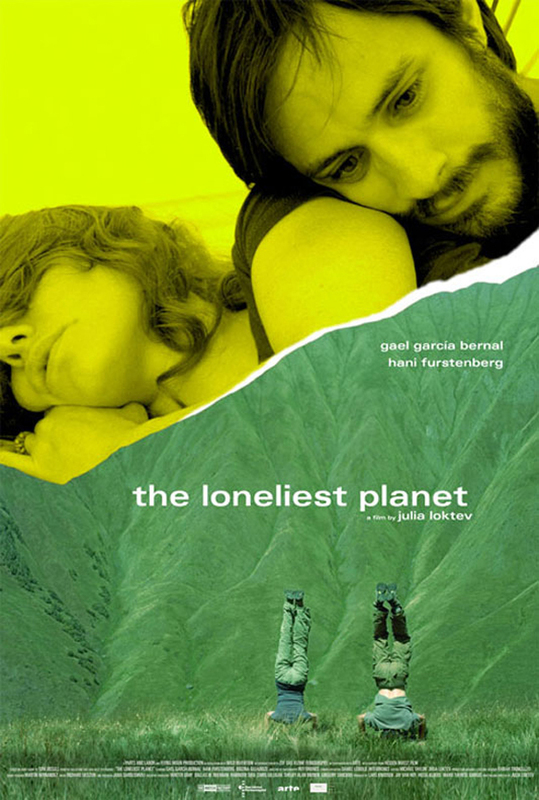 THE LONELIEST PLANET cares not about your preconceived notions about what films should be. From its shocking first shot to its lingering end, it is what it is. Directed by Julia Loktev and based on Tom Bissell’s short story, the film follows an engaged couple, Nica (Hani Furstenberg) and Alex (Gael Garcia Bernal) taking a backpacking trip across the Caucasus Mountains, in the region of the former Soviet republic of Georgia. The early portions of the film show the couple wandering the countryside, in love and encountering the locals. Though occasionally interesting to watch, it sometimes becomes uncomfortable. One's hope is that the couple’s story will lead us somewhere infinitely more interesting than the almost dialogue free experiences in the Khevi region. Then, without warning, our journey begins, only now with a third member - tour guide, Dato, played by Bidzina Gujabidze. The trio encounter sheep, plant life, rainstorms, and rocky terrain. They climb across streams on ropes, sing songs, camp and sit around fires. They periodically discuss the things they encounter or practice various languages, none of the conversation particularly gripping, so mostly they walk. Nevertheless, the imagery is beautiful, giving you a unique glimpse at Eurasia. All the while the movie is accompanied by a jolting score that stops and starts. Much like its score, the film stops and starts (though one wonders, did it ever really start?). One startling encounter and a wrong step will seemingly turn Alex and Nica’s relationship upside down. Testing them in ways they, or the audience, could not have predicted. The result is challenging, but the audience has already given so much to get there that they may find themselves less sympathetic for the couple. If you love watching people walk, the first eighty minutes of this movie will be pure bliss. However, for many, it will feel overly long. Even for the most patient, art-loving filmgoers, THE L ONELIEST PLANET may not end up paying off. In the end, the audience feels just as our backpackers do, burdened and weary.